When you shop at AmazonSmile, Amazon will donate to American Music Therapy Association. Support us every time you shop. Simply click this link to go to AmazonSmile. 5% of any purchase you make at Amazon.com can go to benefit AMTA and its programs. All you have to do is click here before you head to Amazon.com and then make your purchase in the new window that appears. Amazon will donate 5% of your purchase price to AMTA at no extra charge to you. That's easy. AMTA's Combined Federal Campaign designation number is 11588. Or donate directly to AMTA in our online store! When you shop at AmazonSmile, Amazon will donate to American Music Therapy Association. Support music therapy every time you shop. 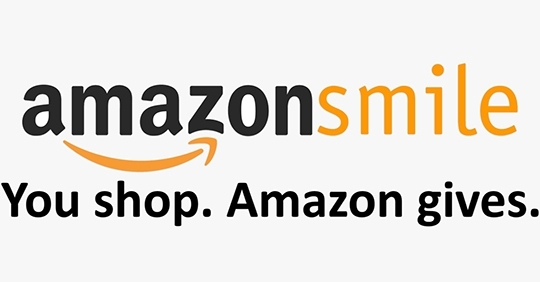 Simply click this link to go to AmazonSmile and select AMTA as your charity. American Music Therapy Association® and its logo are registered trademarks with the U.S. Patent and Trademark office and may not be used, reprinted or copied without the express permission of the American Music Therapy Association. 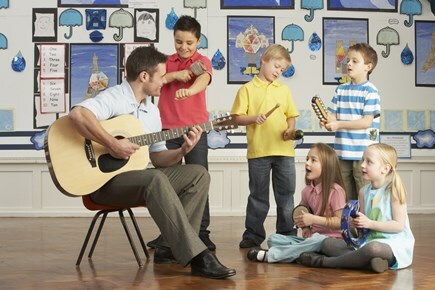 What is the Profession of Music Therapy? Music Therapy is the clinical & evidence-based use of music interventions to accomplish individualized goals within a therapeutic relationship by a credentialed professional who has completed an approved music therapy program. 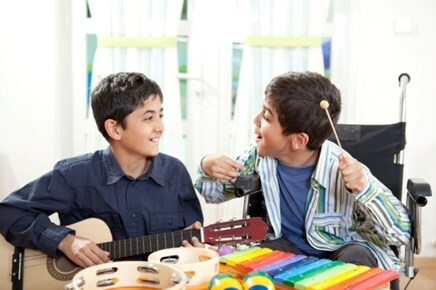 Music therapists work in medical hospitals, treatment centers, psychiatric hospitals, schools, community mental health centers, drug & alcohol programs, senior centers, nursing homes, hospice programs, correctional facilities & more. 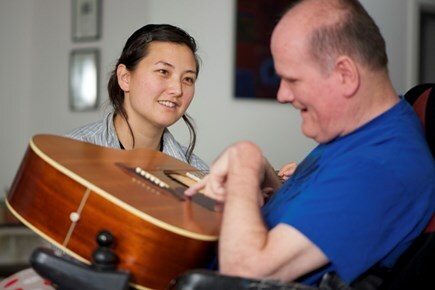 Music therapists assess emotional well-being, physical health, social functioning, communication abilities, & cognitive skills through musical responses; design music interventions for individuals and groups based on client needs; & follow up progress. Children, adolescents, adults, & the elderly with mental health needs, developmental & learning disabilities, Alzheimer's disease, aging related conditions, substance abuse problems, brain injuries, physical disabilities, acute and chronic pain, & more. Does Research Support Music Therapy? AMTA promotes a vast amount of research exploring the benefits of music as therapy through publication of the "Journal of Music Therapy," "Music Therapy Perspectives" & other sources. A substantial body of literature exists to support its effectiveness. Check In to AMTA Membership in 2019! We are checking in with members across the country and invite you to do so as well. Check in with a friend, a colleague, or a student... see how they are doing, share experiences, and build a strong network. Talk about why membership in AMTA supports our mission: to advance public awareness of the benefits of music therapy and increase access to quality music therapy services. 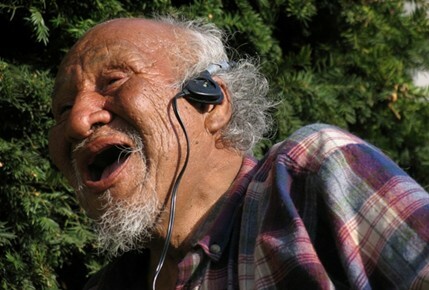 Help us strengthen our music therapy community! We invite you to join AMTA in 2019 and remember that we need your voice! 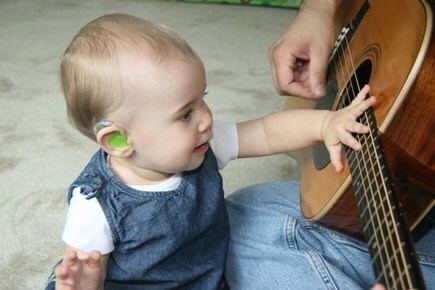 Each one of us improves and enhances the music therapy family. Read what others think at #CheckInChallenge on our Facebook, Twitter, and Instagram feeds and check in to thoughts from our diverse and robust group of members! 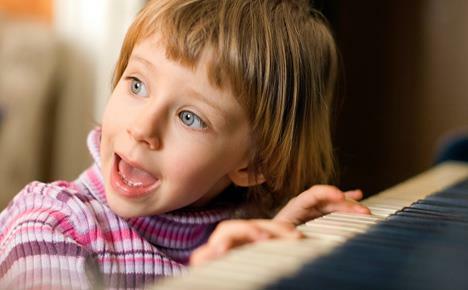 Learn about the long list of benefits that support you & your music therapy practice. For a longer list of member benefits, click here. For information on paying your Professional membership in installments (available through March 31), click here. Under "Shop for" choose "Membership" and click the "Go" button. Click "check out" and follow the instructions you'll see. Call the AMTA national office at 301-589-3300 and staff will be happy to help you! - more than worth the cost! 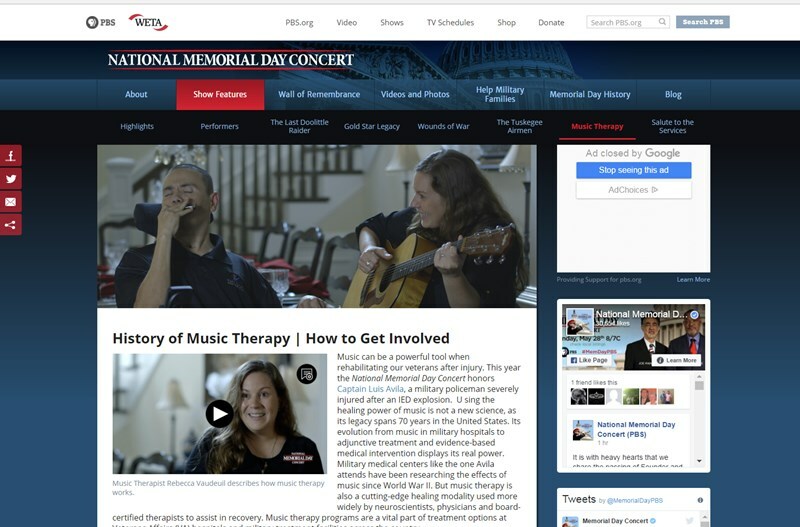 Music Therapy Featured at Kennedy Center Event, "Sound Health: Music and the Mind"
During the 2017 Memorial Day concert (scroll down to watch! ), noted soprano Renée Fleming mentioned an exciting event at the John F. Kennedy Center for the Performing Arts in Washington, D.C., “Sound Health: Music and the Mind.” This major national event, honoring the power of music and music therapy, was made possible by a partnership between the Kennedy Center; Renée Fleming, Artist Ambassador for the Kennedy Center; and the National Institutes of Health. A concert with the National Symphony Orchestra, led by conductor Edwin Outwater, alongside renowned neuroscientists Dr. Daniel Levitin, Dr. Nina Kraus, Dr. Charles Limb, as well as musician Ben Folds, singer/actor Jussie Smollett, and of course, the incomparable Renée Fleming, kicked off the weekend on June 2, 2017. June 3, 2017 featured a full day of sessions with interactive presentations and shows, including one curated by Dr. Sheri Robb, “Breakthroughs with Music Therapy: Recovery, Resilience, Quality of Life.” Additional sessions featured music and child development (Dr. Nina Kraus), creative aging (Dr. Ani Patel), and jazz, creativity and the brain (Dr. Charles Limb). A star-studded cast performed for the PBS broadcast of the National Memorial Day concert Sunday, May 28, 2017. The National Memorial Day Concert honored Captain Luis Avila, a military policeman severely injured after an IED explosion. During the performance segment, featuring acclaimed singer Renée Fleming, a special moment was dedicated to the importance of music therapy services for Captain Avila and all veterans. Captain Avila and music therapist, Rebecca Vaudreuil, joined Ms. Fleming on stage to recognize the importance of music therapy in the rehabilitation of America's veterans. The concert was broadcast live on PBS as well as to our troops serving around the world on the American Forces Network. The American Music Therapy Association is appreciative for Ms. Fleming's support of music therapy. You can watch the segment on Captain Avila at the PBS website for the whole rebroadcast of this amazing concert and a section of the concert's website dedicated to music therapy.